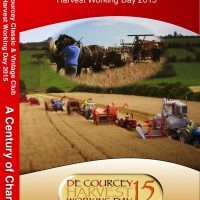 The De Courcey Harvest Working day will be held on Monday 6th August 2018. The site will once again be in Harbour View, Kilbrittain. 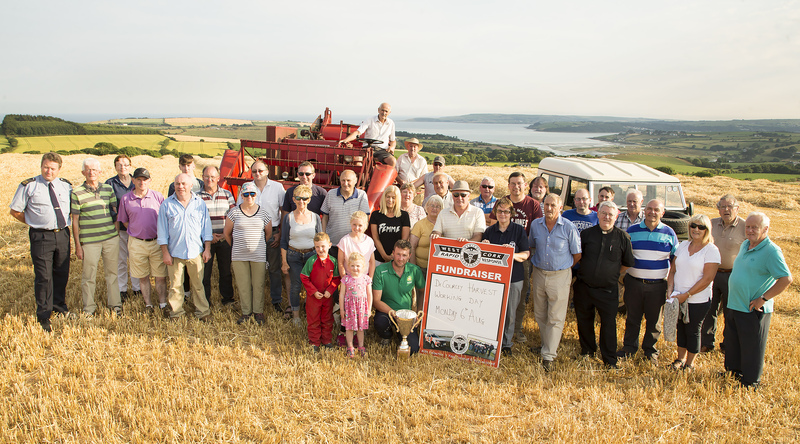 It will take place on the farm of club member Derry Desmond. The club is most grateful to Derry for making the site available to us for a second time. Continuing our support of local charities, 2018 will see funds raised donated to The Margaret O’Dwyer fund, Carmelite friary Kinsale renovation fund, Ballinspittle De-Fib group and West Cork Rapid Response who do such vital life-saving work in our area. On the evening of 11th July, Club members met with representatives of these groups at the event site to officially launch the Working Day. Also supporting us was champion ploughman Liam O’Driscoll recently returned from competing in Russia. Dr Jason van der Velde of the Rapid Response attended with his specially equipped rescue jeep completely financed by fundraising in the West Cork area. Also on site were other rescue and emergency services vehicles which will be on show at the Harvest day. At the end of April members of the committee had met with Dr Jason’s group to begin planning a farm safety exercise. The exercise will involve several different elements of the emergency services coordinating in respond to a serious accident where a person becomes trapped in a machine. The intention is to raise awareness of safety and also to educate people how to respond to such a serious accident. Preparation is well underway and will be very realistic. The 2018 harvest day will feature many new additions to the range of exhibits. De Courcey ‘s will be celebrating the 70th anniversary of the launch of the Landrover in 1948. We will be organising a gathering of all types of Landrover at the event in Kilbrittain. The Club recently took time out at the Innishannon Steam Rally to promote the event with some members and friends getting their landrovers together for a photo opportunity. The usual harvest day activities of reaper and binder, combine harvesting, tilling and a whole host of traditional farming activities will of course take centre stage. There are a number of restoration projects currently underway in the Club including some vintage combine harvesters that are being prepared for debuts at the show, one of which is Ronan Horgan’s 1971 Clayson 133. 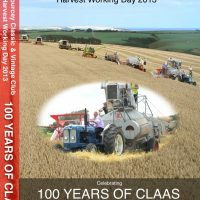 In addition, we are expecting a nice number of steam traction engines to also attend. 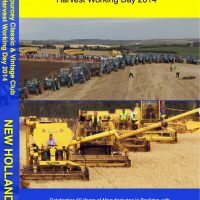 As always the focus will be on activity, with a huge array of vintage machines of all sorts working at the event. Keep an eye on our facebook page and website www.decourceyvintage.com for further details. 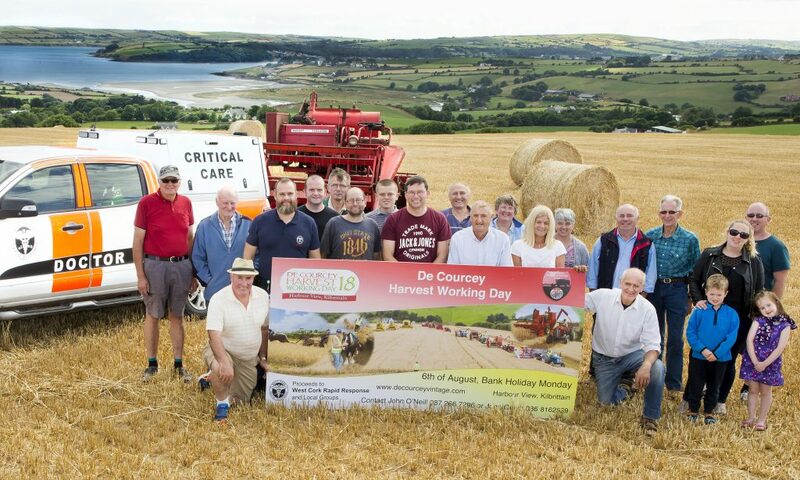 This entry was posted in Uncategorized and tagged 2018, Courcey, Day, De, Harbour View, Harvest, Kilbrittain, Rapid, Response, West Cork, Working on July 22, 2018 by admin.